There are many use cases for digital signage in hospitals — from wayfinding, to informing staff, to educating patients, to communicating with visitors. In fact, there are almost too many ways to use digital signage. For the sake of budget and aesthetics, you can only put up so many displays. But where you do install them and what information do you share on them? When implementing digital signage, hospital leaders must ask themselves many questions — all of which boil down to the most important question of all: What are your greatest communication challenges? Digital signage has been a major trend for many years, and it’s only getting bigger. The global digital signage market will grow at a 5.2 percent CAGR from 2016 to 2023, according to research from Global Market Insights. The report also notes that much of this growth will happen in the healthcare industry, which makes sense. These days it’s hard to find a hospital or doctor’s office that doesn’t use digital signage in some way. After all, communication is key to delivering positive health outcomes and a satisfying patient experience. The trick to getting maximum ROI from digital signage in hospitals is prioritization. Hospitals have a lot of information to communicate, but which messages matter most? That depends on your organization, your team and your patients. Mapping your digital signage is a big job, one that works best when the conversation includes technical leaders, business leaders, staff leaders and patient experience leaders — in other words, everyone who has a stake in internal or external communications. 1. What are your greatest communication challenges? Wayfinding: If you run a large hospital or medical complex, chances are that you have a wayfinding problem, with staff members consistently being interrupted throughout the day by people asking for directions. Digital kiosks with interactive wayfinding capabilities could help address this challenge. Patient engagement: Bedside digital whiteboards keep patients in the loop about their care, which helps reduce anxiety. Smart signage and displays paired with mobile devices can also deliver educational content tailored to each patient’s condition. Informing staff: Digital signage in break rooms, nurses stations and other common areas can display staff schedules, reminders about upcoming training or hospital events, safety warnings, introductions to new team members and staff recognition. Communicating with visitors: Hallway displays can be used to promote hospital services, deliver wellness content, solicit donations, alert visitors to public safety concerns, estimate wait time for clinic patients and keep families informed in surgical waiting rooms. 2. What are your top business priorities? Most hospitals today face the same challenges: improve health outcomes and patient satisfaction, decrease readmission rates and cut costs. But where are you currently struggling most? In other words, where could implementing digital signage produce the greatest ROI and make the greatest impact on your strategic business goals? 3. Which messages need to be delivered in real-time? When deciding what content should be displayed, prioritize information that changes frequently — the kind of messages that would quickly become outdated on a bulletin board. Digital signage is also a great way to grab attention and highlight ongoing content, but if space is limited, consider whether there are other ways to communicate certain information. This ensures that staff and visitors are getting the most up-to-date, pertinent messages wherever they are in the hospital. 4. Which patients/staff would be best served by digital signage? Patients, staff and visitors all benefit from improved communication, but who would benefit most in your organization? Are there certain departments where digital signage could make the biggest difference? Are there common patient and visitor complaints that digital displays could help to address instead of requiring constant staff attention? 5. Which problems are best solved by digital signage? Once you’ve identified and prioritized your key communication challenges, consider whether digital signage is the best solution for each one. Just because a challenge can be solved with digital displays doesn’t mean that’s the only way, or even the best way. In some cases, mobile solutions might make more sense for your organization’s long-term IT strategy. Or you might decide that combining the two technologies — like pairing bedside tablets with digital signage to deliver patient education — will make the greatest impact. 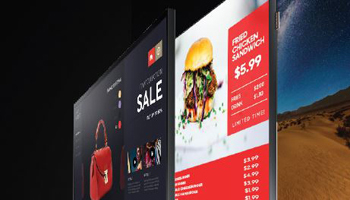 In addition to these five considerations, physically mapping out digital signage is important. For ITDMs, this may mean collaborating with hospital staff to identify high-traffic areas that would gain the most benefit from increased information visibility, such as main hallways or patient rooms. Ultimately, by identifying your organization’s greatest communication gaps, you’re well on your way to bridging them.